The total number of refugee in Rwanda has declined by 20,991 people in the last five months, report of the Ministry of Disaster Management of Refugee Affairs (Midimar) has indicated. According to the new refugee fact sheet that was released on July 6, the number of refugees in Rwanda declined to 152,428 people in May compared to 173,419 refugees that were registered on January 31, 2018. Jean Claude Rwahama, the director in charge of Refugee at Mididimar told KT Press, that the decline in number of refugees is attributed to several factors. “Some refugees repatriate to their countries without informing migration services while others leave Rwanda after getting education scholarship abroad,” Rwahama said. According to the new refugee fact sheet, Burundian refugees make up 47% of the total refugee population, while Congolese refugees are 52%. Meanwhile, 144,429 refugees registered individually and 280 registered at household level. Rwanda recorded 7,719 asylum seekers. 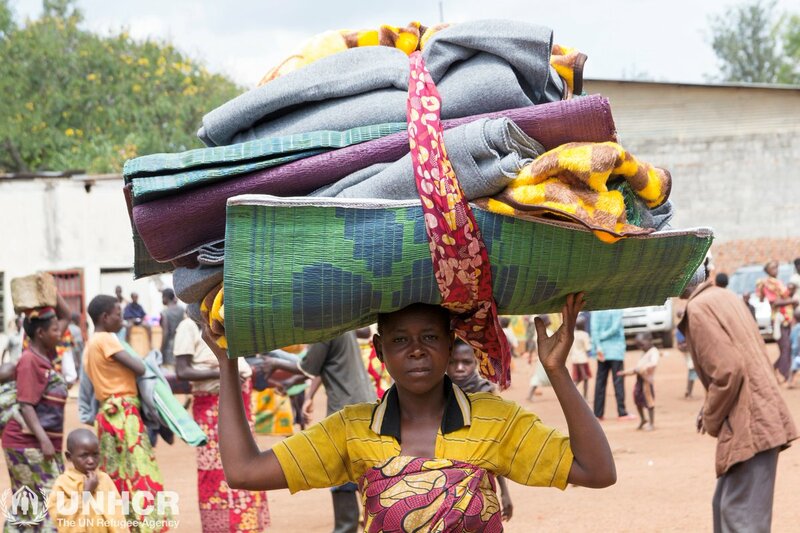 Mahama refugee camp in Kirehe district is the biggest with 57,627 Burundian refugees who fled the political crisis since April 2015 when President Pierre Nkurunziza announced his decision to run for a contested third term. Second biggest refugee settlement is Kigeme refugee camp with 20,000 Congolese refugees who fled unrest in their country during a conflict that opposed the government to M23 rebels. It was established in 2012. Congolese refugees are hosted in several camps across the country and were created in different periods, when crisis in DRC escalated. Kiziba refugee camp in Karongi district, Western Province hosts 17,120 Congolese refugees. In Gatsibo district-Eastern Province, Nyabiheke refugee camp hosts 14,554 Congolese refugees while Gihembe in Gicumbi district, Nothern province is home to 13,304 Congolese refugees. In Mugombwa-Gisagara district, there are 9,205 Congolese refugees. There are also refugees in Rwandan urban centers; Kigali hosts 11,460 refugees while Huye is home to 773 refugees-most of whom, Burundians. Children among refugees make up 50% of the whole refugee population while both women and children stand at 76%.